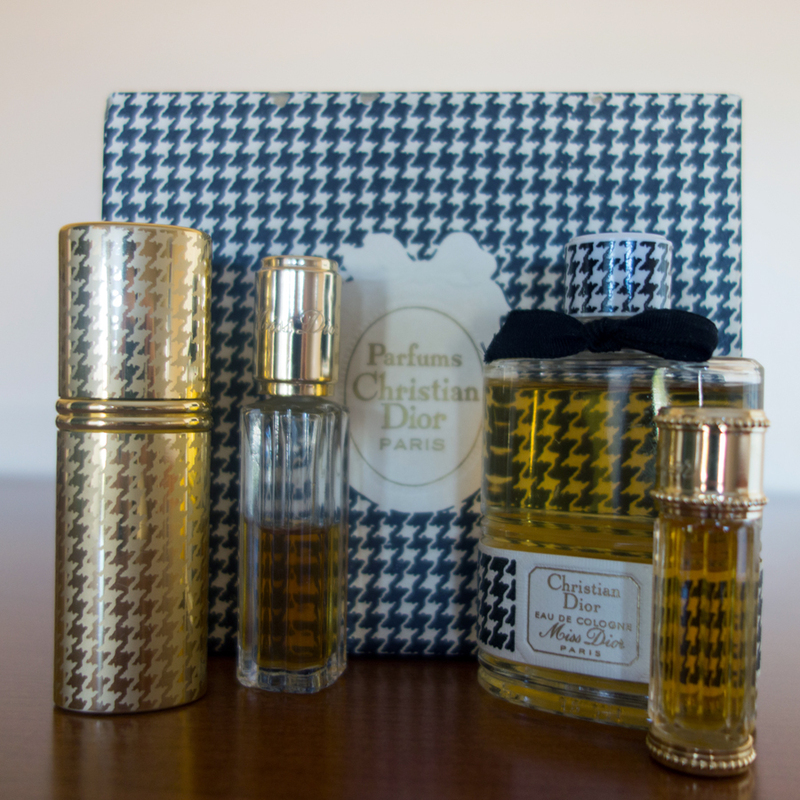 This entry was posted in Favorite Perfumes and tagged Dior, Groundhog day perfume, Miss Dior. Bookmark the permalink. Changed my mind….Reglisse Noire!!! Which I bought another bottle of not that long ago and just about drained it with daily wearings for three and half weeks. I might also have said Casablanca but that one is rich and heady and might not do well in certain situations. Reglisse is much more versatile and could be worn in the summer as well. If anyone, you could probably pull off Groundhog Day perfume without too much effort. I should try this one! You’re not the first person who reported liking it. I love Groundhog Day too, we just watched it for the first time with our 13 year old last night. If I could find the right perfume, I think I could wear it for weeks at a time. Still looking though. Now, if you were actually stuck in Punxsutawney you could seek out all the perfumes in that town, but that offering seems limited. I guess I would go with a comfort scent, since I don’t need to wear perfume everyday, and if I were stuck in a time loop I think I would need some comforting, so I’ll go with Joy. Joy Patou or Joy Dior? Joy Patou is my moms scent, so that would be my comfort scent. I need to get more disciplined about putting on perfume. I treat it more like jewelry, I use if I’m properly dressed & groomed. I’m looking for an interesting citrus floral to wear everyday. I’ll look through your archives in case you have any youvrevommend. There are at least 3 linden-centric perfumes that would fit your citrus floral bill – April Aromatics Unter den Linden, Jo Malone French Lime Blossom and Tauer Perfumes Zeta. I also like By Kilian Prelude to Love, Parfums DelRae Wit and Prada Infusion Mandarine. Ramon Monegal Pure Mariposa and Teo Cabanel Hegoa weren’t my favorite but they are nice and might be what you’re looking for. Oh, and out of the latest launches that are easier to get (both to try and to buy), have you tried Paris – Deauville? It’s a nice daily scent that has both citrus and floral components. I cannot decide between 2! Shalimar ( the old formulation please) & Honey by Laurie Stern of Velvet and Sweet Pea. Miss Dior is a great choice! I’m not familiar with the second perfume you mentioned but I’d vote for Shalimar: while I do not wear it, it’s one of the perfumes proven by time. Wow, you have some nice set of vintage Miss Dior, lucky you. For me a perfume I could repeat for a while would be Prada Amber Pour Homme. Before I discovered a world of niche this was a perfume I wore exclusively every day. Luckily for me, Miss Dior was so ubiquitous at some time and done so well, that there’s enough not that expensive offerings on eBay. Though, it’s probably the only vintage perfume that I ever bought to wear. Even before I was a “perfume person” I had more than one bottle and didn’t wear the same thing every day. Looking at my collection, I think I would choose Bvlgari Omnia, which I always enjoy and never seems too much. It’s a safe choice, I agree. I just hope we’d never have to prove that we chose well :). For me Chanel No. 19 EDP would be my first choice, but I could go with 28 La Pausa EDT since both of these are weather versatile. Speaking of Grounhog Day the movie, at work, when someone kept asking the same question, or kept not doing something they’re supposed to, I’ve been known to say, “What is this, Groundhog Day?” One day, a colleague from India asked what I meant by that so I explained and encouraged him to watch the movie (the colleague was not the “target” of my comment). He did and afterwards told me that it now made sense! Definitely, Chanel No. 19 in any formulation or 28 La Pausa EdT. No second thoughts about it! It’s curious that you’re the third person who chose La Pausa (and second, before I continue to the later comments) to name No 19. Your Miss Diors are lovely! I couldn’t do it in real life because, as you said, I’m not the signature scent type. But, if I had to chose, I’d hope to be stuck in Punxsutawney with the No. 19 EDT. You really could not go wrong with it. And, you’re right, the bottle would always be at the same level every morning! No 19 EdT was one of perfumes that I also considered. But for me it’s a little warmer weather perfume, so I would have definitely chosen it had it been for a couple months later date. Mine would be the very simple and cheap as chips Dame Mate, Patchouli and Heliotrope. It’s not that I wear it all the time, but it is one that I reach for when I don’t know what to wear or I don’t want something too distinctive. It’s a “my skin but better” scent and just inventive enough to not be boring and I just always feel happy when I spray it on. It’s a good recommendation for perfume. I haven’t tried this one yet but I will one day. Oddly, before I fell ill last week I had worn Le Labo Poivre 23 four days running. Though my wish to drain the nearly empty decant may have had something to do with that, hehe. As a conscious choice? Maybe Bois des Iles, actually. At this time of year, certainly. I just re-watched it again today. Still love it. I was thinking about BdI but it’s too new to my permanent collection, so I’m not sure how I’d feel about repeatedly wearing it. Maybe Fils de Dieu, because it’s nice in summer and in winter. I would probably choose either Eau des Merveilles or Wood Sage and Sea Salt. I’ve never run into an occasion where neither fit. I agree about Wood Sage and Sea Salt: I would also be able to wear it on a regular basis and not be overwhelmed. Eau des Merveilles doesn’t work for me but I know many people who enjoy wearing it. What a thought… 😨 But I suppose I have two. Either Rentless by Lush or TRNP’s Petite Brise. It’s amazing: two perfumes with which you are prepared to spend years – and I haven’t even heard the name of the first and neither the name nor the brand for the second! Hi Undina! Fun question. Vintage Miss Dior is a great choice – both an armor and a comfort. I went through quite a few continuous days last year, wearing Chanel Coromandel because it is quite an undemanding scent as far as the heavier scents go & so lovely..But I think wearing the same scent without thinking kind of spoils the scent for me (not that the scent starts to bother me but it doesn’t evoke much which is always a shame). So I have put that one away for now..The one fragrance that I can see myself wearing continuously without feeling ‘dead’ to its charms is probably vintage Shalimar parfum (especially in the winter. Not sure about summer). I am shocked to find that it might probably be one of my all time favorite perfumes (Ten years ago I would never have thought of myself as a Shalimar kind of person). I could also possibly handle wearing Serge Lutens Un Lys continuously (although I emptied my then-available export bottle of Un Lys long ago). I have watched bits of Groundhog Day but never the whole movie. I keep meaning to remedy that. I think you’ll enjoy that movie if you get a chance to watch it. I hope to never find myself in the situation where I’d have to wear just one perfume over and over again. But as an exercise it was fun. Yes, Miss Dior in vintage would get a gong from me also. The whole idea of having an endless supply of it would be thrilling. Imagine how much of it we could spritz?